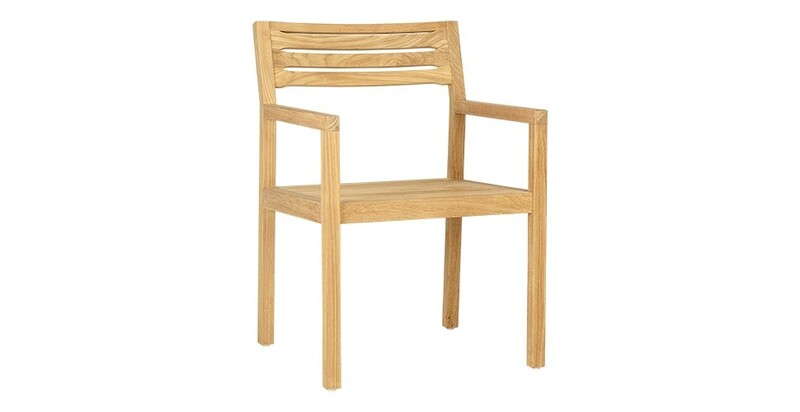 The Tiek furniture line is an elegant, understated and welcoming garden furniture collection. Designed by the Habitat Design Studio, its structured lines are subtly enhanced by attractive detail: the barley grain design on the slats, providing a delicate touch of sophistication. 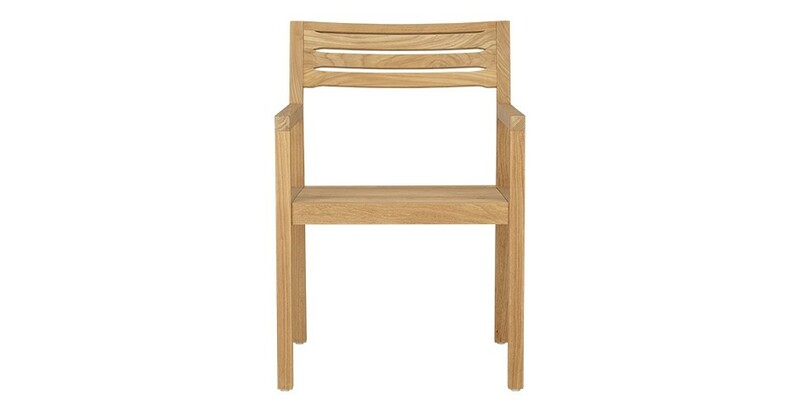 This timeless line is built to last thanks to the choice of material: teak. Why choose teak for your outdoor furniture?Teak is ideal for outdoor use as it ages very well and forms a patina over time. It can be left outdoors all year round as it is a very dense wood whose high oil content acts as a natural waterproofing product. It is this oil that is responsible for its change of colour. To preserve its original colour, you can sand your furniture lightly at the start of the season then oil it with special Teak Oil.